The BT 1700 features one of BT's simpler Call Blocking technologies. 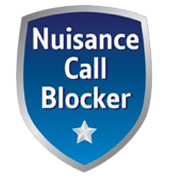 This amazing call blocking feature users some control over which numbers they want to hear from. The BT 1700 features one of BT's simpler Call Blocking technologies. This amazing call blocking feature users some control over which numbers they want to hear from. You can block up to 20 individual numbers, say there's just a few certain numbers that are constantly pestering you, add them numbers to your block list and you'll never hear from them again. The BT 1700 is one of BT's earliest but still stylish releases, it has a nice 1.6" Dot Matrix display, making it easy to see the screen and dial or add entries into your phone. There's a 20 minute answering machine to make sure you don't miss any messages. In the phone is a 50 name and number contacts list and a 20 calls call log, for all your family or friends, and a 20 number block list to keep them cold callers out.